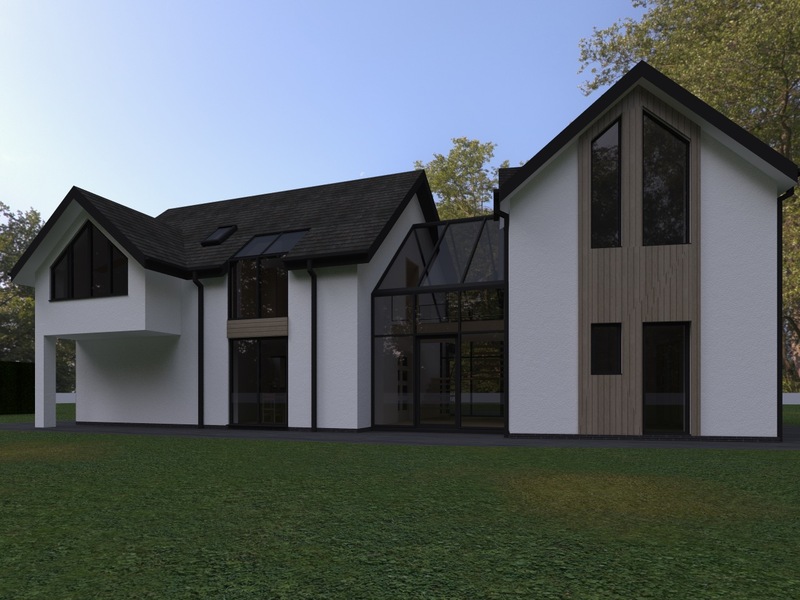 Lime Architecture Ltd were appointed to design and apply for planning permission to replace an existing dwelling known as Briar Croft in Dunston near Stafford. 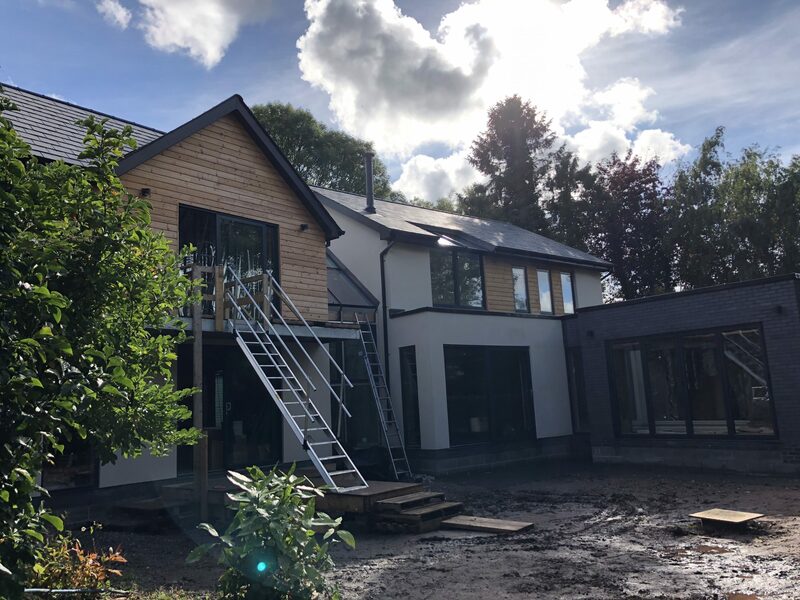 This new modern contemporary dwelling is bespoke in its design and sustainable in its materials and SIPS construction. The new dwelling incorporates a high quality finish and sits confidently in its surroundings whilst in keeping with the open countryside. Walls are finished in White through colour render and vertical large cladding. Windows are double glazed with dark grey PPC aluminium frames. The roof is finished in spanish slate. The design quality is exceptional with subtle use of traditional materials and innovative design. The resulting property is sustainable and will provide every comfort for modern family living, whilst being visually pleasing. 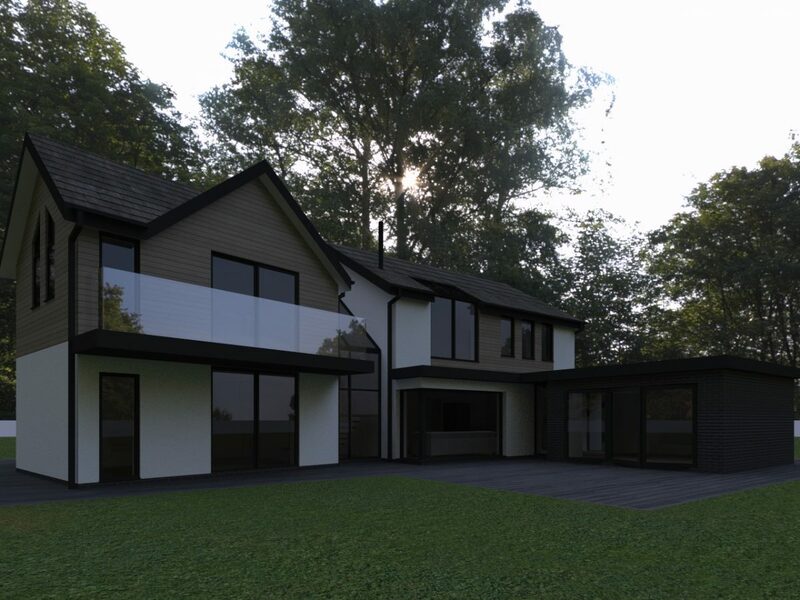 This dwelling will not just sit in the Stafford landscape, but blend with it and compliment it.